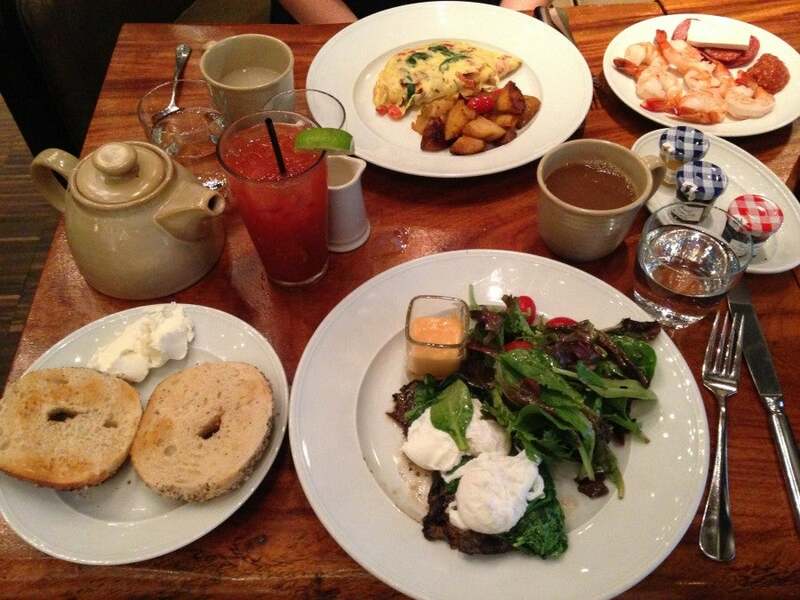 TPG Contributor Nick Ewen recently stayed at the Andaz Wall Street with his wife for a weekend getaway. 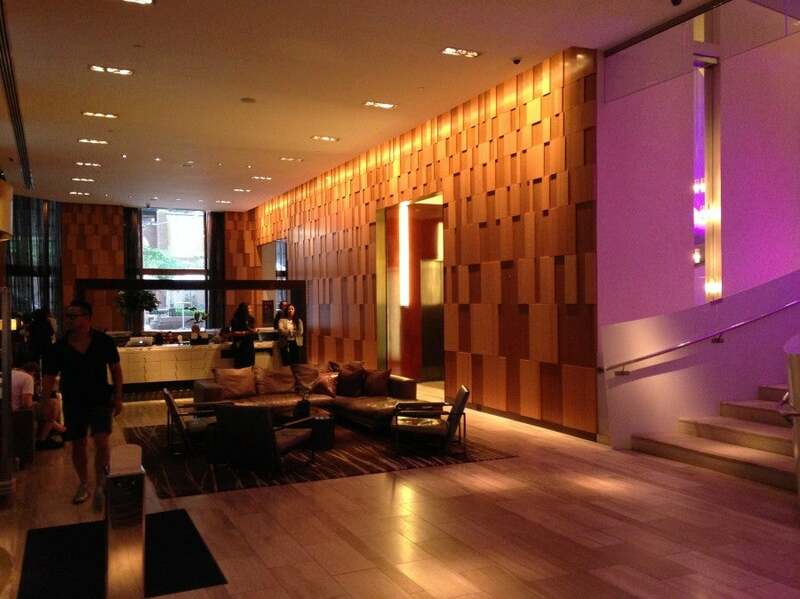 Here’s his review of the luxurious Hyatt brand’s Wall Street outpost. 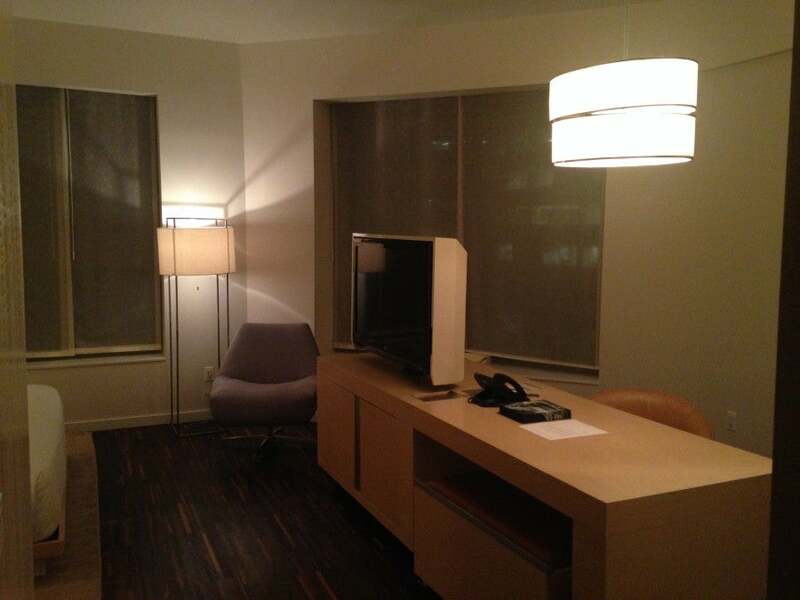 Stay tuned for more New York hotel reviews from the TPG team’s recent travels. I have a confession to make: as a native New Yorker, I’ve gone more than 31 and a half years without setting foot on Wall Street. That all changed in September when my wife and I spent two nights at the Andaz Wall Street. What began as a decision to try a new part of town wound up setting the stage for a terrific weekend in the Big Apple. We arrived to the hotel after dark. 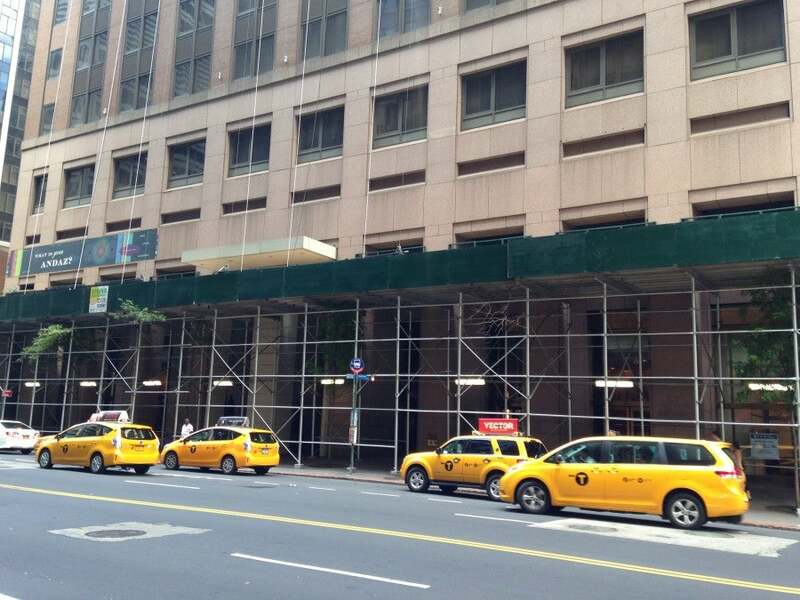 Although the official address is 75 Wall Street, the entrance to the hotel actually faces Water Street, which is where our cab driver deposited us and our luggage. The exterior of the building is undergoing a refurbishment, so there was scaffolding around the entrance. Even without it, the exterior isn’t much to write home about. However, this is where the shortcomings end. The lobby is small and welcoming with rectangular wood paneling and an airy, boutique feel. The check-in desk is actually a marble bar, and the agent processed our check-in on an iPad while standing right next to us. When she found out it was our first Andaz stay, she explained that Andaz means “unique style” in Hindu, and she hoped that we would experience just that as she went over the amenities I would receive as a Hyatt Gold Passport Diamond Member, including free breakfast and late check-out. This initial interaction felt less like a check-in and more like a warm hostess welcoming us into her abode. One of the nice things about this property is that you can book either a standard (Andaz King) or deluxe room (Andaz Large King) using the same number of Hyatt points, which I took advantage of by booking the deluxe. Upon check-in, I was pleased to learn that we’d been upgraded to an Andaz Suite on the 14th floor. After a long week of meetings, stepping inside room 1425 was a welcomed respite. The calm mood lighting and cream color palette was an oasis away from home. While the standard rooms are listed at 345-square-feet and the deluxe rooms top out at 450-square-feet, this corner room clocked in at 610 with large windows and an open floor plan, making it seem even larger. There’s a large sitting area immediately upon entering the room. There’s a large and comfortable seating area immediately upon entering with a 42″ LCD television centered in a floor-to-ceiling shelving unit that actually doubles as wardrobe and luggage storage on the opposite side (facing the bedroom). The bathroom is off to the left with a basin-style sink and large counter space. The sleek, black tile bath area includes a large soaking tub and rainfall shower stocked with Beekman toiletries, including shampoo, conditioner, shower gel, a goat’s milk bath bar and bath salts. 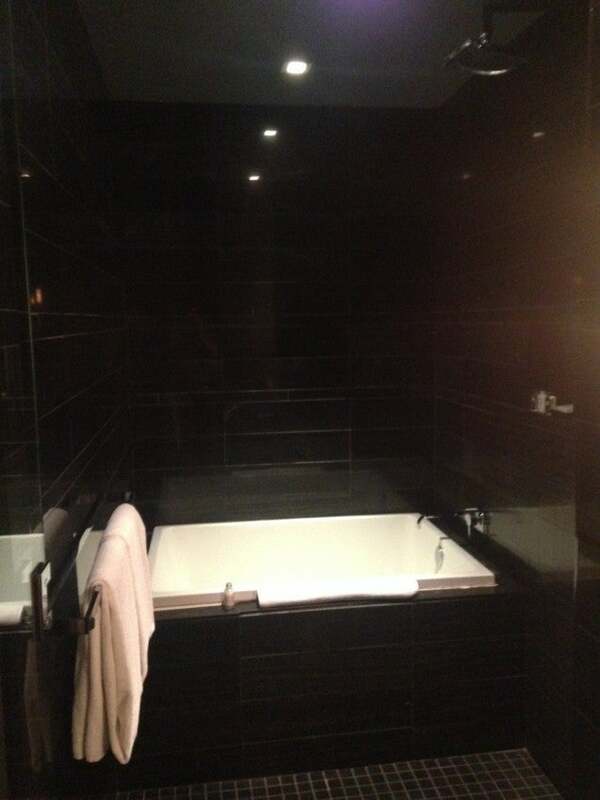 The large walk-in shower is next to a deep soaking tub. 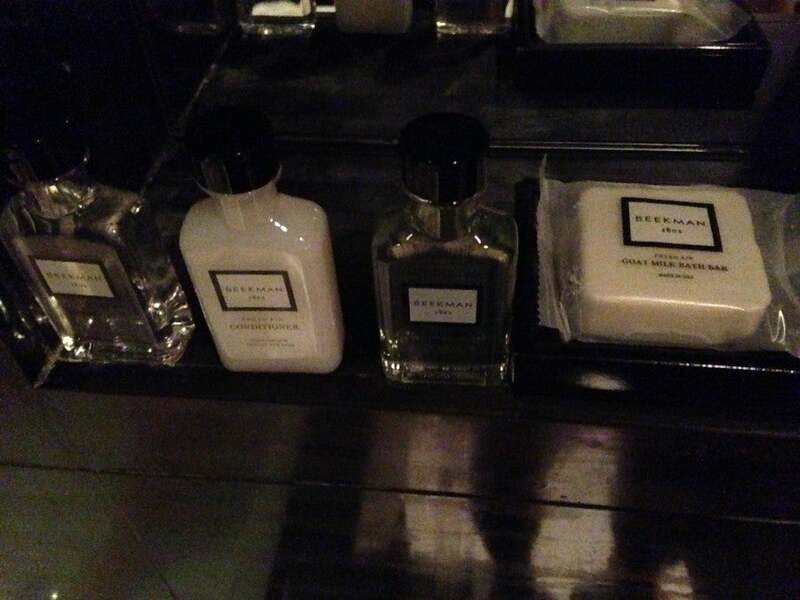 Toiletries were Beekman-branded and quite nice. The bedroom occupies the far end of the room with a large, comfortable king-sized bed and a media center/work desk/mini bar combo– a clever space-saving design that contributes to the airy feel of the room. Next to the bed is an iPhone 4 docking station with a large speaker system, serving the dual purpose of charging my wife’s phone overnight and playing calming music to help us drift off. 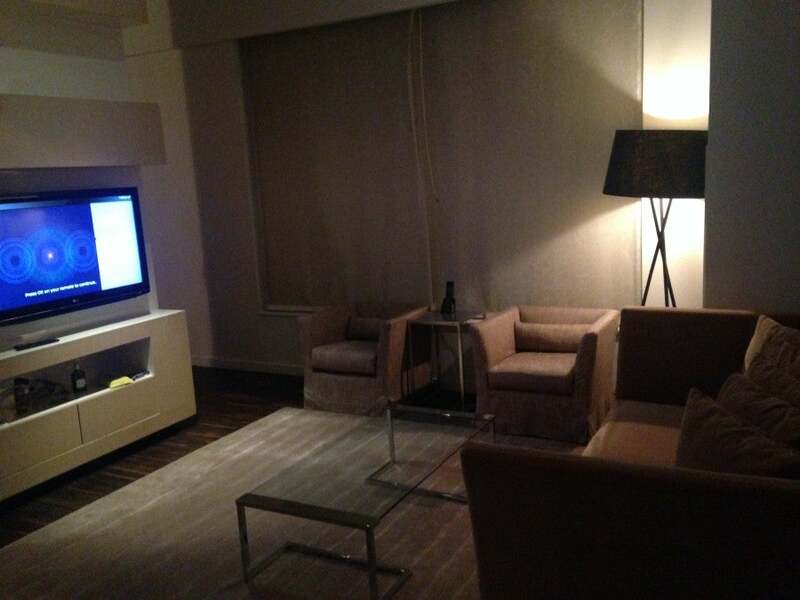 The desk also included a second 42″ LCD TV and housed the minibar and in-room safe. Andaz properties include complimentary snacks and non-alcoholic drinks from the minibar. Given the small heat wave the city was enduring during our stay, having chilled water replenished upon return was a much welcomed treat, as were the snack options like kettle chips, Cliff bars and dark chocolate and cherry bars. 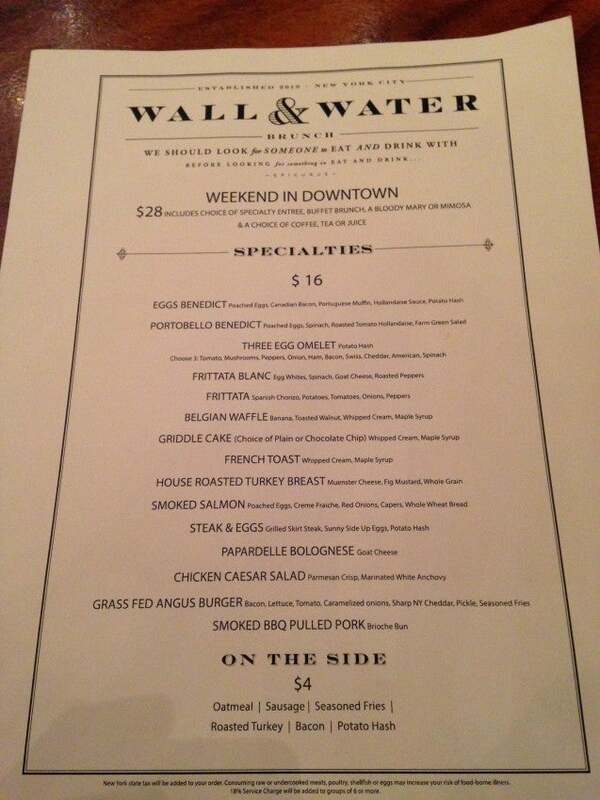 I was most looking forward to enjoying the weekend brunch, served from 7 a.m. to 2 p.m., in the Wall & Water Restaurant. My Diamond status earned us the “Weekend in Downtown” option complimentary, which included a menu item, the buffet, a glass of champagne, mimosa or a Bloody Mary, and choice of tea, coffee or juice. The “Weekend in Downtown” is the complimentary breakfast given to Diamonds on Saturday and Sundays. 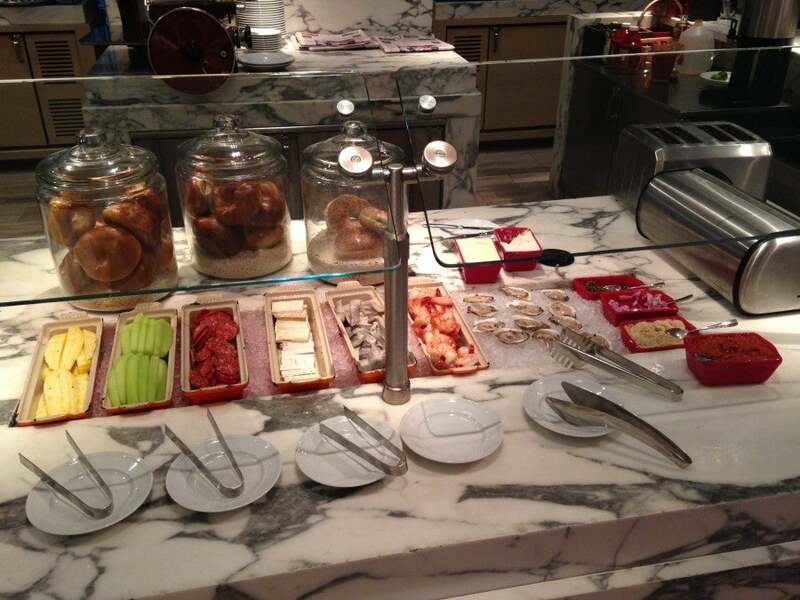 The buffet itself is impressive with full-sized New York-style bagels, fresh fruit, meats, cheeses, pastries, cereals, raw oysters and jumbo cocktail shrimp. Add in the menu item and the fact that we didn’t need to rush out of bed in the morning (we were on vacation, after all) and brunch at the hotel was a wonderful way to start our day of exploring. We tried the portabello benedict, three egg omelet, frittata blanc, and turkey breast sandwich during our stay, and all were delicious. Our VERY full breakfast table on Saturday morning. The open lobby layout serves as a social gathering space, as they offer coffee, tea and cookies all day, plus complimentary wine from 5-7 p.m. each evening. On the evening we were around for this happy hour, they had a very drinkable Thorny Rose Chardonnay and surprisingly tasty Concannon Cabernet Sauvignon. 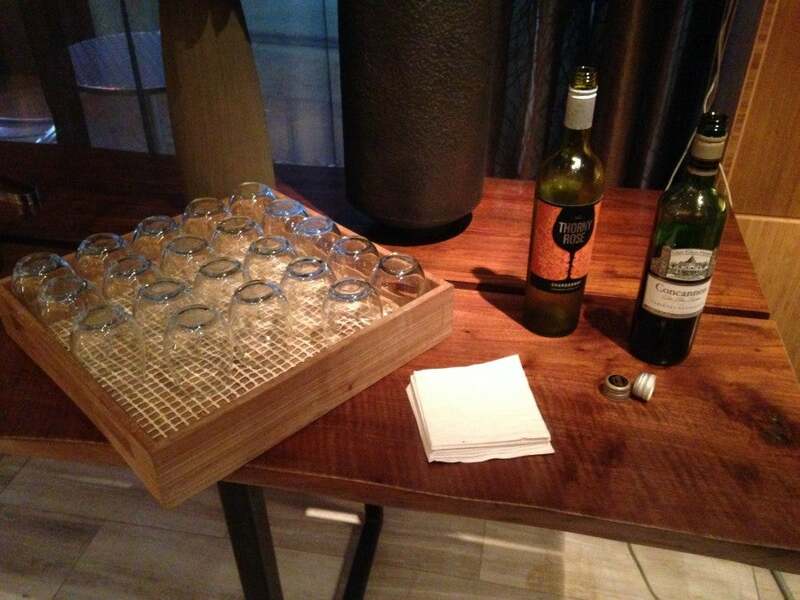 The Andaz hosts a wine reception each night from 5-7 p.m. The hotel also has a spa, fitness center and a number of meeting rooms located one floor beneath the lobby. My wife indulged in a pre-natal massage and had glowing reviews for the atmosphere and therapist. We found the prices quite reasonable for New York City. Her 65-minute treatment was just over $200 with taxes and gratuity. The gym is large for a small-ish hotel with cardio equipment and weights. While clearly off the beaten path for your traditional Manhattan vacation, we enjoyed the relative quiet of the Financial District on the weekend. Midtown’s hustle and bustle is only a 10 to 15 minute cab ride away (slightly longer by subway), and we found a decent amount of things to do nearby. It took us eight minutes to walk to South Street Seaport for a boat cruise in the East and Hudson Rivers, and the 9/11 Memorial and Museum (which incidentally, I highly recommend) are just a 15 minute walk west. I booked my room using 25,000 Gold Passport Points per night, and standard rates for an Andaz Large King were $320 at the time of booking, a value of 1.28 cents per point. While not the greatest redemption value, I was sitting on a ton of points and preferred to keep the cash in my pocket. Rates during the week are (obviously) much higher due to its location on Wall Street, though still readily available using points. All in all, we had a great stay at the Andaz Wall Street. From the room, brunch, and understated, yet sophisticated amenities and service, it’s a fantastic place to enjoy a weekend away. TPG Tip: Pay for your stay (or incidentals on an award stay, like I did) using your Hyatt Credit Card to maximize your point earnings at this and other Andaz locations. Where do you like to stay when traveling to New York? Have you tried an “off the beaten path” neighborhood like Wall Street?